We were pleased with promptness, knowledge, and work done by your installers and technician. Josh and John (installers) did high quality work, and were neat and clean. Yamir (technician) was extremely knowledgeable about rodents and ants. He happily shared his information with us. It was an education. All were pleasant, polite, and took the time to answer our questions. Darren and Jose are very good and knowledgeable in their fields. I would recommend Cats Eye to any one who needs this service. Get the job done!!! Understand peoples price limitations and do work you can be proud of. prompt & thorough service today, 4-18-19, thanks. So far so good. 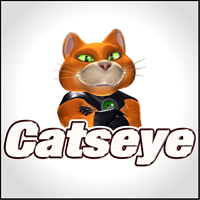 The first guy I met was courteous, friendly and amenable.The job has just been started, but I expect a positive experience with the folks at Catseye.😊. I am pleased with the work that was done. There were some communication issues so my rating is actually 4.5. Catseye came in and replaced the joist in my house in a matter of a few hours. Great job. John was at my home today, he was very friendly and professional. He was helpful with every question I had, took time to explain everything he was doing and what different options I had available. I hired Catseye to remove a skunk from under my house. They were very prompt and efficient, and removed the skunk in a timely manner. I would highly recommend them. The men were courteous and cleaned up afterwards. We had very severe squirrel problem, so I called Catseye Pest Control company and Bob came out promptly. He explained what would be done and guaranteed that we would have no other problems with squirrels. I received high quality service from your employees Bob, Clinton Howlett, Sidney and Nick. They were very knowledgeable courteous, professional and we are very pleased with the job. We highly recommend your company to family and friends. Great customer service and terrific service from the trapper that came to the house ! Professional and top notch. Our service manager John Crowley was great! He was very nice and personable, answered all of me and my husband's questions and went the extra mile for us. I would recommend catseye and John to my friends. Bob, Brain and of course Yamir are the Greatest. And the women that I talk to on the phone are very helpful and pleasant they serve this company WELL. Am glad I called Cateyes instead of going back to Orkin. All the workers I have dealt with by phone or in person have been pleasant and courteous. Mike, the most recent worker to come to my home has been especially helpful. This company is the real deal! Don't go in search of anyone else. The results are AMAZING!!! I am happy with the professionalism and service the cat guard team did on their installation. Very happy with Catseye. I called them up to remove some squirrels from my attic and they did a good job. Also had them seal up entry points and replace insulation. The men they sent out were very friendly and professional. Everyone seems to be very professional polite and clean answers questions and does a very good job. Catseye provides a valuable service performed by great technicians. Very professional workers. Started very early 8 a.m. Explained entry of mice. Highly recommend Catseye for any rodant problems. Just need to make sure you confirm appointments by email, text or phone., didn't get the last one. They have just started the program. I will give more when they are complete. Excellent service. Friendly and helpful staff. Quality product. I would recommend to anyone with a mouse problem. Outstanding service. So far very happy with the results. Keep up the great work. Excellent service, personable, punctual, polite and do what they say they will. First off, I am amazed that your crew came out a week ago just after the first snow storm of the season and did the work of installing the hardware fabric over the gable vents and the one-way door. YOur guys also sealed up the soffits along the brick the entire perimeter of the house as well. I am hoping that we will not be bothered by the flying squirrels again, but you'll be the better judge when you come back to check on things. My experience with the team from Catseye so far has been tremendous. They thoroughly explain each step of the process and are very professional. I’m wondering why I did not reach out to them sooner. I have been incredibly impressed with all of the service providers. Great, professional service. Communication is superb and the tech, mike that came out was very educated in his field. Good work workers are excellent. they are great company to have very professional. So far, all of the technicians have been pleasant polite and explain what they are doing. I can't wait to be mice free and I know these guys will do it ! Extremely happy. Corrected major problem with red squirrels. Response was rapid, kept to schedule, regular updates on service. Professional, thorough and pleasant. Would give an A+. Very happy with your service thank you.